Helping You Achieve the American Dream – Page 29 – Advice and information to guide you to financial success with the financing your home. 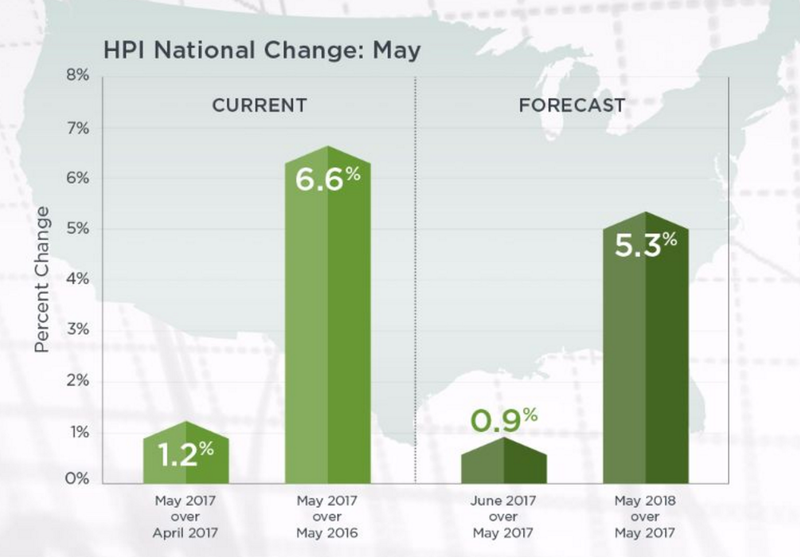 CoreLogic’s Home Price Index (HPI) for May just came out and shows very solid appreciation growth nationally. And forecasts that home prices will rise by 5.3% in the year going forward…and they are usually a bit on the conservative side. It’s a great time to be a homeowner. Let me know if you would like to see what this means to your potential net worth if you are in the market for a new home. New Home Sales, which measures signed contracts on new homes, beat expectations just like this week’s Existing Home Sales Report. Sales are up 8.9% year over year. 2.9% over April. The Median New Home Sales Price rose 16.8% year over year to $345,800, which is the highest on record. Today’s report showed that we had the 3rd strongest selling pace in 10 years. Here is the link to today’s full report from the U.S. Department of Commerce – https://www.census.gov/construction/nrs/pdf/newressales.pdf. Thanks for reading and please let me know if you have any questions. Great article breakdown the numbers from today. The one that really caught my eye was that 55% of the homes sold in May, sold in less than a month. If you are thinking about selling, now is a great time!